Not all Seaboard communities are battling cicada infestations, but what if yours is? This article first was published as a guest post on The Christian Science Monitor blog Modern Parenthood on June 7, 2013. 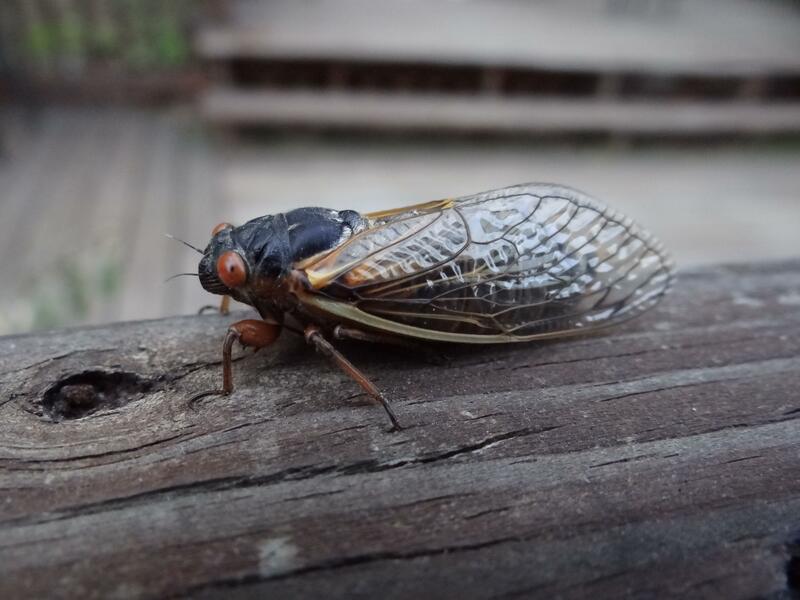 For months now, East Coast residents between North Carolina and Connecticut have kept a watchful eye on the cicada forecast. Bug lovers eagerly awaited one of nature’s biggest—and arguably weirdest—coming out parties, while more squeamish residents dreaded the impending infestation. It seems that many areas, such as Baltimore, Washington D.C. and parts of New Jersey have been spared, while others are positively overrun with the flying critters. It turns out that the cicadas have spent the last 17 years burrowing in rather sporadic clusters. If you have not seen any cicadas yet, chances are you won’t see them this time around, though it’s possible they may hit your area in 2021 when Brood X make their debut; this year’s crew is known as Brood II. If your area is teeming with cicadas and the idea of a swarm of insects sends shivers down your spine, a little background knowledge can go a long way to take control of those emotions. Framing the event as a fascinating phenomenon for kids could help calm their fears and prevent lasting insect phobias. So, what are cicadas anyway? Cicadas are herbivorous, flying insects that grow to be about 0.75 to 2.25 inches long. There are over 1,500 species of cicadas around the world and more than 150 different species in North America. The particular species making headlines this spring is the periodical cicada, or Magicicada. While many species of cicadas are present throughout the year, periodical cicadas spend the majority of their lives underground. This particular species surfaces only once every 17 years, for four to six weeks in a mad dash to mate. .
Cicadas are best known for a high-pitched buzzing sound that males make trying to attract a mate. The din created by a swarm of cicada suitors can be highly distracting and downright annoying; however it can also be a useful prompt for families to explore the properties of sound. Male cicadas have plate-like membranes on their abdomens that vibrate like the skins of drums. Young kids can experiment with vibration and sound by placing the palm of their hands on their throats while humming, plucking a rubber band, or rubbing a comb back and forth over different surfaces. Older children can explore how different vibrations produce different sounds. Cicadas don’t initiate their telltale symphony right away. First they emerge from small holes in the ground, about 0.5 inches in diameter. Then they climb onto tree trunks and shed their exoskeleton before they are ready to mate. If the timing is right, you might witness a newly emerged cicada wriggle free from its old skin during its final stage of metamorphosis. If you miss it, don’t worry, you’ll likely find many discarded carapaces, for kids to collect and examine. Adult cicadas take shelter in the treetops for about five days while they wait for their new skins to harden into protective exoskeletons. Then they begin their noisy mating rituals; and they are hard to miss. Having lived most of their lives underground, they are somewhat bumbling fliers and tend crash into people, windows, and other objects. If you get caught in a swarm of cicadas flitting about to find mates, it helps to remember—and remind kids—that they are harmless. If you can move indoors until they pass. When no amount of humor can quell the annoyance factor, remember that cicadas play a vital role in the ecosystem. While living underground, they tunnel through the earth in search of plant roots to munch and help to aerate the soil. Their decomposing bodies and discarded exoskeletons help to replenish the natural nutrient cycle of the soil. And if you just can’t take it anymore, remember that they’ll soon be gone for another 17 years.